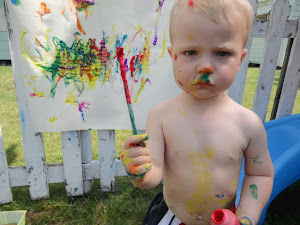 Welcome to Mrs. Peterson's Art Class! : "I'm done. Now what do I do?" "I'm done. Now what do I do?" Students have choices when they are done early in art class. After clean up, they are allowed to free-draw, color a famous painting coloring sheet, read an art book, sign up for Ipad time to explore educational activities and art games, or use modeling clay to create a sculpture. I thought I'd share some of those sculptures with you.